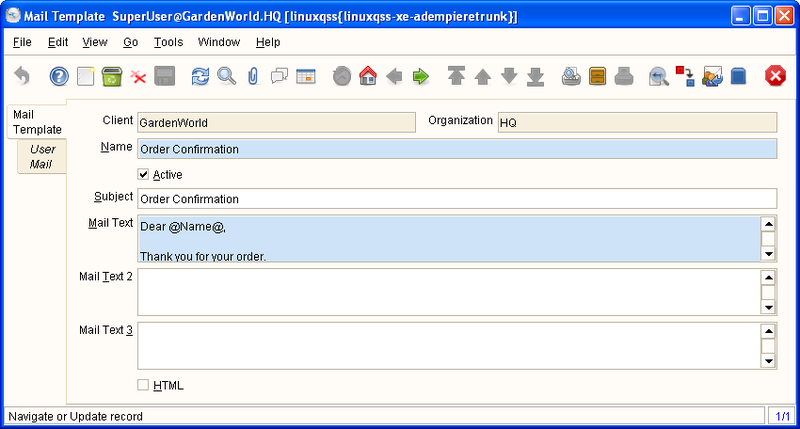 Help : Mail templates can contain variables of the user, business partner or a general object. The priority of parsing is User/Contact, Business Partner and then the underlying business object (like Request, Dunning, Workflow object). This page was last modified on 14 December 2006, at 13:57.